Replacement 0.35 sub-micron post-filter for Aquasana Whole House Filter Systems. Only use genuine Aquasana replacements for increased performance capacity and certified contaminant removal. Removes particulates 60 times smaller than the eye can see. This includes insoluble minerals and cysts. 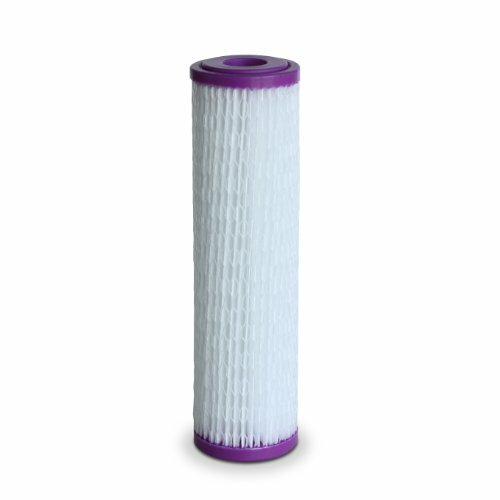 The addition of this post-filter is considered a polishing agent and adds a level of protection for your household in the event of an outbreak of cryptosporidium or giardia. This cartridge should be replaced every 6-12 months. Replacements made easy - no plumber required. Replacements made easy - no plumber required. Replace filter every 6 months.